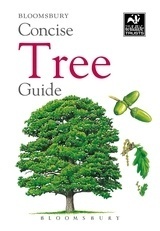 This illustrated pocket field guide covers the major trees of Britain and the near Continent. It covers more than 160 species, all of which are illustrated with full-colour artworks that show details of mature trees, leaves, growth patterns and other interesting features. A concise written account covering size, description, habitat, distribution and habits appears on the same page as the illustrations for each species. The easy-to-follow layouts and clear artwork help in accurate identification, making this book a useful reference source. It is compact enough to fit in the pocket, yet packed with essential information for the natural history enthusiast. Renowned natural history artists including Cy Baker, David Daly, Colin Emberson and Lyn Wells painted the illustrations.